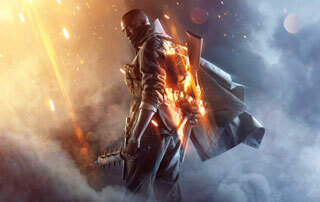 EA's Blake Jorgensen confirmed today that we won't see a new game in the Battlefield series for "a couple of years." Battlefield 1 has brought new life to the series since it launched in October, but don't expect to see a follow-up in 2017. Instead, you can expect to see EA wait "a couple of years" to revisit the series. ""We won't have another Battlefield back for a couple of years, next year we'll have Battlefront, the Star Wars game." It's unclear if he is referring to calendar years or fiscal years, but regardless, it sounds like DICE will have its hands full with the new Battlefront, which Jorgenson said would feature content from the new films. He called the next game "bigger and more exciting" than its predecessor. Battlefield 1 is a solid entry into the series, so it's likely to be just fine representing its brethren for an extra year. Hopefully, this will also mean that the team working on the next game will get an extra year, assuming they're not too busy working on Battlefront.